In a town where folks wearing Prana and Patagonia easily outnumber those wearing J. Crew or Gap, it's no surprise that options for climbing outnumber places to go clubbing in Boulder. Climbing season stretches year-round here, where the sun shines 300 days annually and mild temperatures can tease you out of bed early even on the shortest days of the year. Meander up Flagstaff Mountain to tackle boulder problems—you’ll pick up a tip or two hanging around the Monkey Traverse. The Flatirons are the perfect proving ground for multi-pitch climbs, while Eldorado Canyon offers seemingly limitless trad routes. 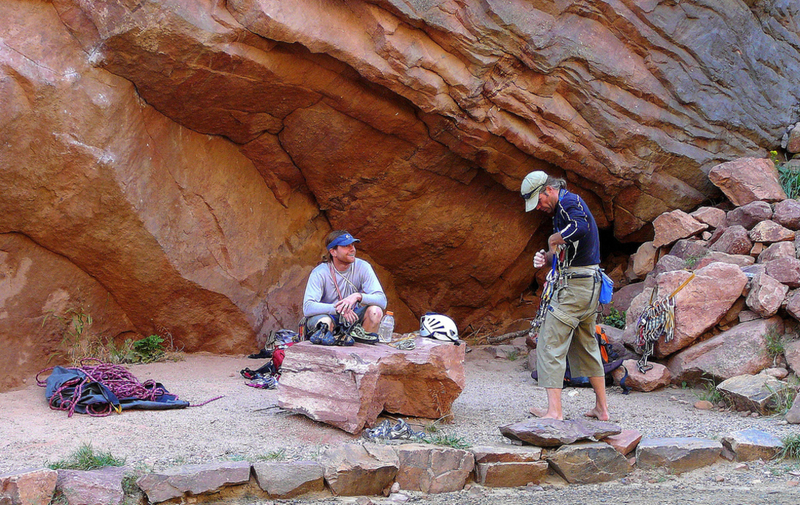 Boulder Canyon is the place to go for sport climbs with fixed anchors. And farther from town, North Table Mountain and Clear Creek Canyon are also top spots within easy reach. 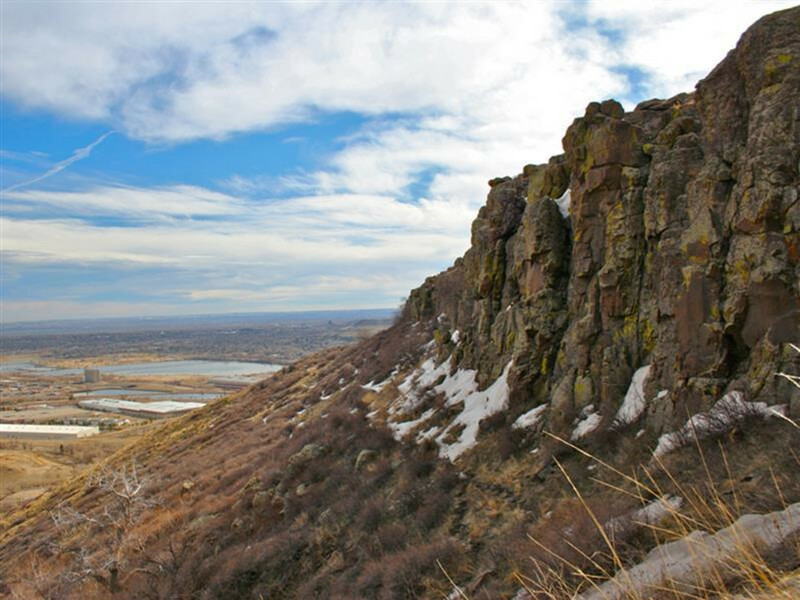 Basically, if you're a climber in the Boulder area, you've got plenty of exceptional options. Below are some of our favorites. Jutting up dramatically to form Boulder’s iconic backdrop, the giant rock slabs known as the Flatirons tantalize climbers with nearly 1,000 world-class routes that range from 5.0 to 5.14. The sheer variety and quantity of both trad and sport lines offer enough terrain to last a lifetime. There’s something for everyone, although low-grade trad routes remain king, with many climbers getting their first taste of multi-pitch climbs here. The Third Flatiron, a 1,300-foot slab with eight pitches, all below 5.6, is a popular choice. The First Flatiron’s direct route also makes many climbers’ bucket lists, with 10 pitches that max out at 5.6. 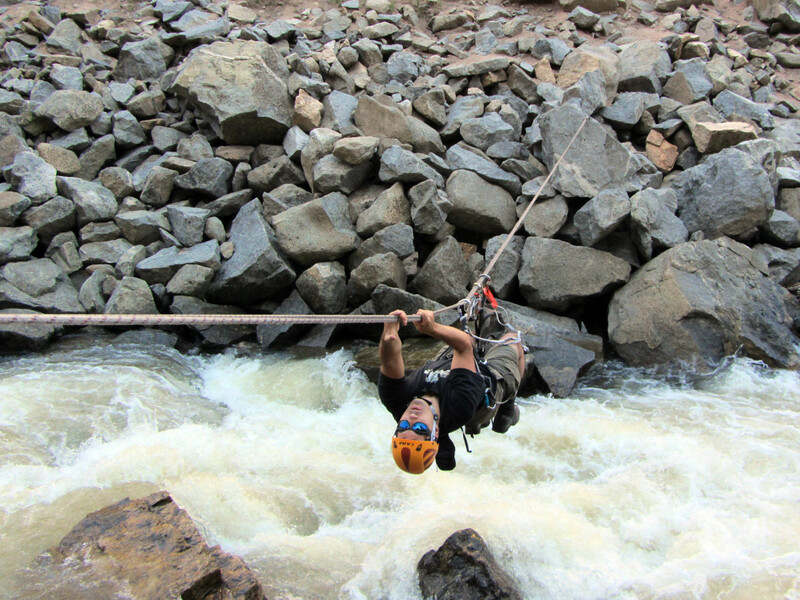 Both the First and Third offer the option of a thrilling rappel off the backside. 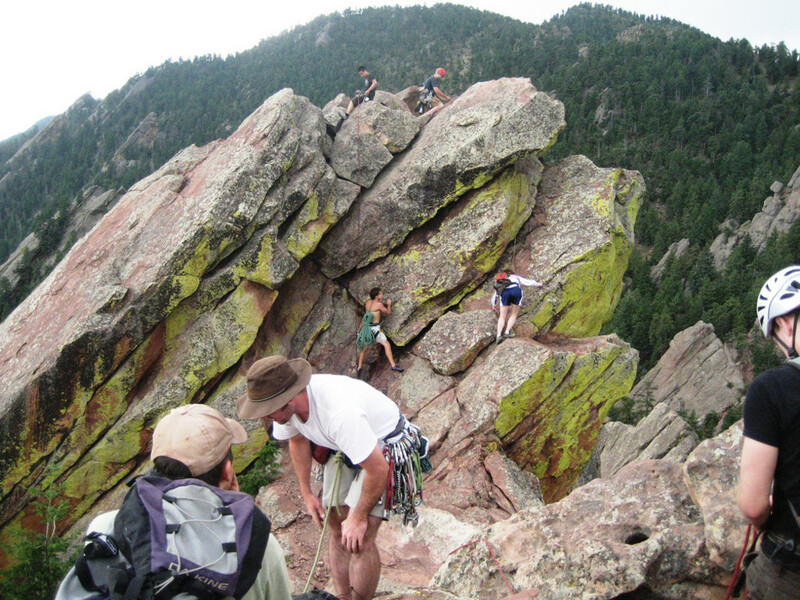 Advanced climbers also can find plenty of challenge on the Flatirons, tackling routes that push past the 5.11 mark. Just south of Boulder, Eldorado Canyon State Park is a world-famous climbing mecca, with hundreds of routes along the park’s 700-foot high red and golden sandstone walls. South Boulder Creek flows down the narrow guts of the park, providing a pleasant backdrop of rushing water. You’ll find a lifetime's worth of climbs here, including the Bastille Crack, and dozens of routes up the iconic Redgarden Wall. The park gets very crowded on summer weekends, and it can be hot with the sun baking the rock walls. North facing climbs offer the most shade. Bouldering is also popular in Eldorado, with many problems unnamed. Snaking out the west side of town at the end of Canyon Boulevard, Boulder Canyon leads to a collection of granite playgrounds along a 12-mile stretch of road. Almost every tenth of a mile, you can find a crag to climb. Look for small pullouts where climbers' cars gather on nice days. 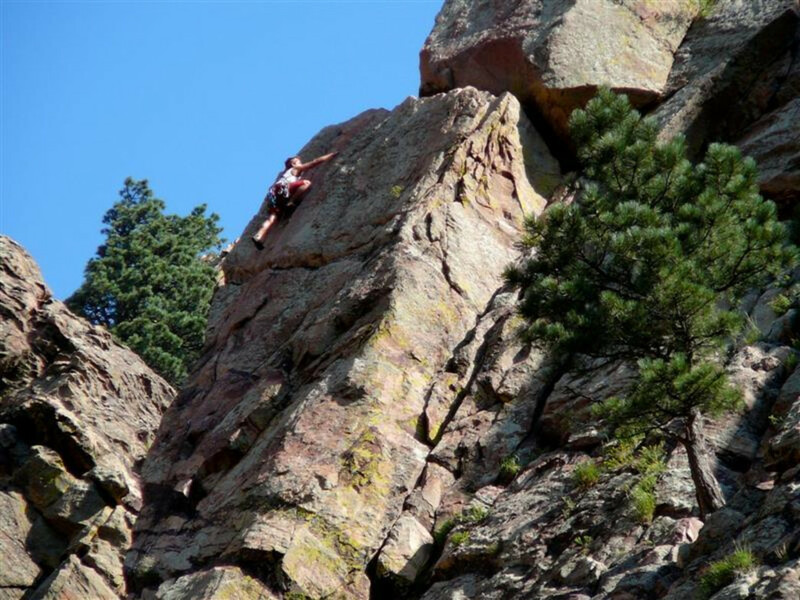 The crags in Boulder Canyon offer something for everyone, with a mix of sport, trad, and top rope climbing. Hit the northern routes on hot summer days, and seek out sunny, southern locales during winter. The Mountain Project has a great breakdown of routes. Watching over the city of Golden, North Table Mountain gets a lot of sun, making its single-pitch sport climbing routes perfect to scale year-round. Easy access and good bolts make this a great place to master sport climbing and work out some difficult top rope climbs. The majority of the climbs are one-pitch lines less than 60 vertical feet. 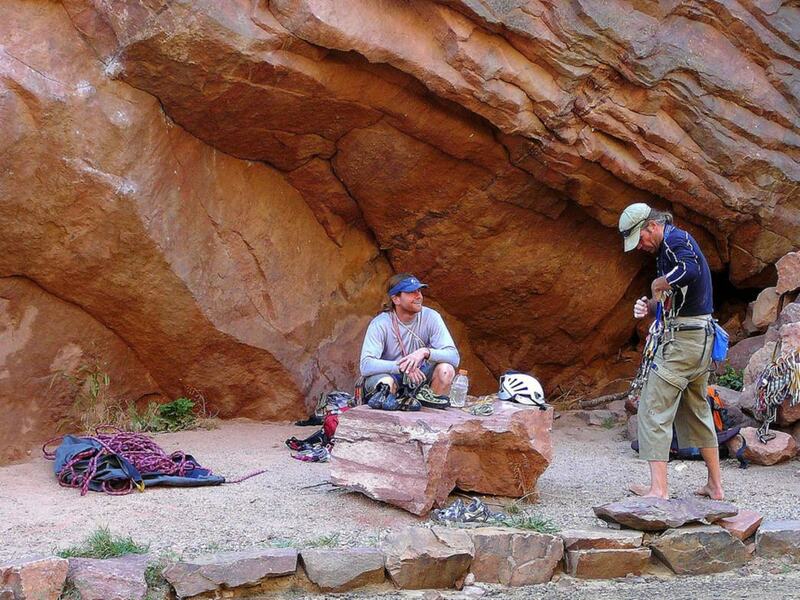 You’ll find decent bolts, and it’s easy to scramble on top of the mesa and throw down a top rope for many climbs. North Table Mountain has more than 350 established routes, ranging from 5.2 to 5.12. Sport routes dominate, although are enough trad routes in the mix to keep gear junkies happy. The rock is solid, though on some of the more popular and easy to access routes, it has gotten rather polished. Crowds can be an issue on weekends, especially on the moderate routes. But there’s a reason for that: easy access, great lines, and plenty of bolts. Check out the Mountain Project North Table Mountain website for details on routes. Boulder Canyon’s sibling 40 minutes to the south, Clear Creek Canyon is a little less crowded and caters to more advanced-intermediate and expert climbers. You’ll find a variety of climbing routes with a matching variety of rock, including gneiss, schist, and granite. The lower canyon has easy to access crags and more sport routes, while the upper canyon gets progressively more technical. The canyon is about 12 miles long, with more than 700 established routes. Many of the areas feature specific types of climbing. Sections vary between regions, employing a full set of climbing skills. Slabs, overhangs, off-widths, and roofs are all present in Clear Creek Canyon. Difficulties run the full gamut, from 5.0 to 5.14, with the majority of routes favoring more difficult climbs over 5.10. Pitch length vary, from single pitch sport routes to multi-pitch lines over 600 feet. For more info on specific climbs and crags, consult the Mountain Projectwebsite.